Agenda: The final Atlanta agenda appears below. You can also download the document here. We welcome feedback! What you are bringing to the table as your contribution to the mix? Participants will break into five groups of ten and each person will write key principles, goals, 5-year outcome targets, etc. on blank cards, which can be altered/reworded/improved to better reflect the group input. Review Stage 1. Each small group will review a card at a time and decide if they ‘accept’, ‘discard’, or ‘change’ that card and document their rationale. Review Stage 2. The group will rank order the priority of their top 5 cards, and document their rationale for their choices. Review Stage 3. The group will develop a 2-minute promotional TV advertisement to sell their ideas. This could include a role play, song, flip chart, or other concept to persuade the larger group regarding the wisdom and logic of their choices. Think Dragon’s Den (UK) or Shark’s Tank (US) format. It’s time for each group to “sell” their choices. Each group will have 2 minutes to ‘sell’ to the whole group their choices and why their 5 choices should be included using their promotional advert/role play/song/poster. The presentations will be followed by a voting session where each participant has 3 votes (using colored dot stickers) they can use to vote by placing a colored sticker against choices they feel should definitely be included in the final declaration. This process will give us an idea of views across the group and also how particular themes, goals and targets should be refined into key messages. The statewide Georgia Crisis & Access Line features an integration of technology and clinical innovation, which has become known as the “air traffic control” approach. The partnership with Georgia’s Department of Behavioral Health and Developmental Disabilities (DBHDD) and Beacon Health Options has been recognized by Business Week Magazine, Harvard University’s JFK School of Business and Ash Institute of Government, SAMHSA, NAMI, NASMHPD, the National Council, the Council of State Governments and APA journal Clinician’s Research Digest. Note 6 – Dinner Monday Evening at the Hyatt Polaris Club. 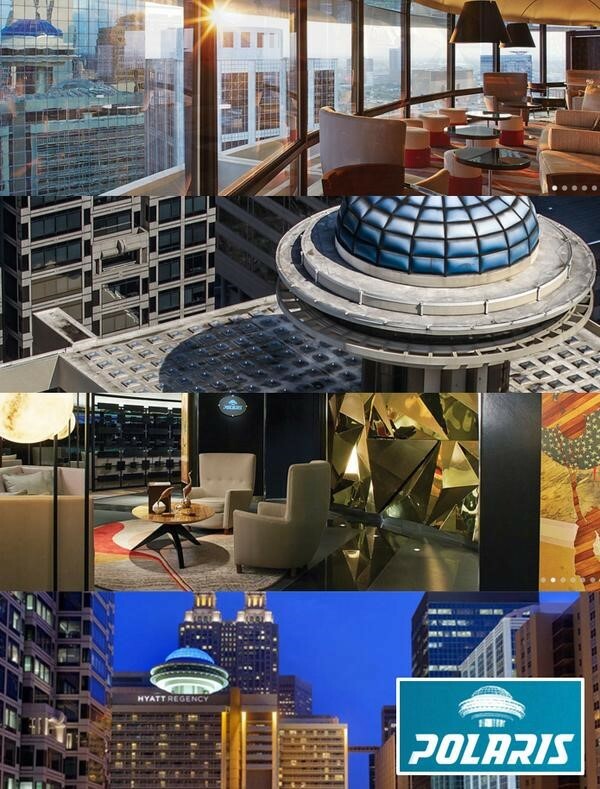 Thanks to our sponsors Kevin & Margaret Hines and Behavioral Health Link we are hosting a special dinner event at the Hyatt Polaris club on the 22nd floor at 265 Peachtree St. The event begins at 7:30pm and will end by midnight. We want to continue the brainstorming during the evening with an overnight task for pre- and post-dinner. This is designed to be fun but with a purpose to advance our thinking and fuel our creativity. The task is to identify a Children’s Fairy Story or Fable to describe the process of trying to change some aspect of the world. We are putting together a declaration, promoting it, and getting the message out to lands far and near. What fits best, and why? Think Pixar, Disney, Hercules, Daniel and the Lion, the Wizard of Oz with its unlikely team of hero and heroines, Jungle Book, Lion King, etc., as ideas to shape your story frame. What are the principle characters? What challenges do they face? How did they tackle the obstacles? What did they say, and what did they do, to ultimately win through it all and create the “happily ever after” ending? Note 8 – World Café. 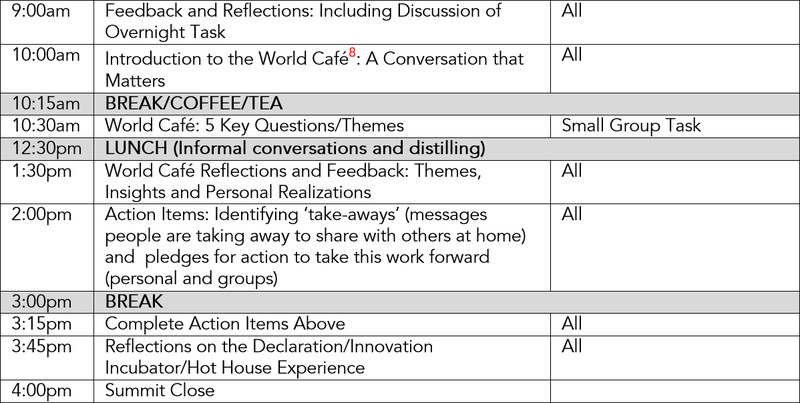 Our final framework will be the World Café, which was designed for exploring questions that matter and integrating diverse individual perspectives into a new collective perspective. Q1: Who are the allies we can or should mobilize? What arguments do they need to become active and energized? Q2: Who do we have to convince to change views and habits? What are their values, fears, concerns, interests? Q3: How/where do we spread the word (channels, platforms, levels)? Q4: How do we operationalize an international leadership support network for Zero Suicide? Q5: How will we know if this declaration has had any impact? What would we see that would be different? 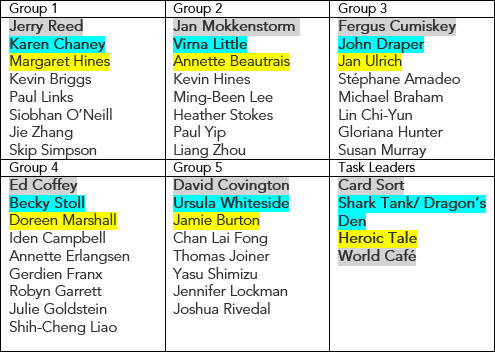 Participants will not stay with their small groups, but will move tables every 20 minutes in whatever order they choose (aka musical chairs, finding an open seat at another table). This will all everyone to contribute to a building discussion on all five key questions across the cafe session. Only the table moderators will stay at their original spots, and they will ensure that there is a running thread and work to eliminate duplication, rather building the conversation forward. 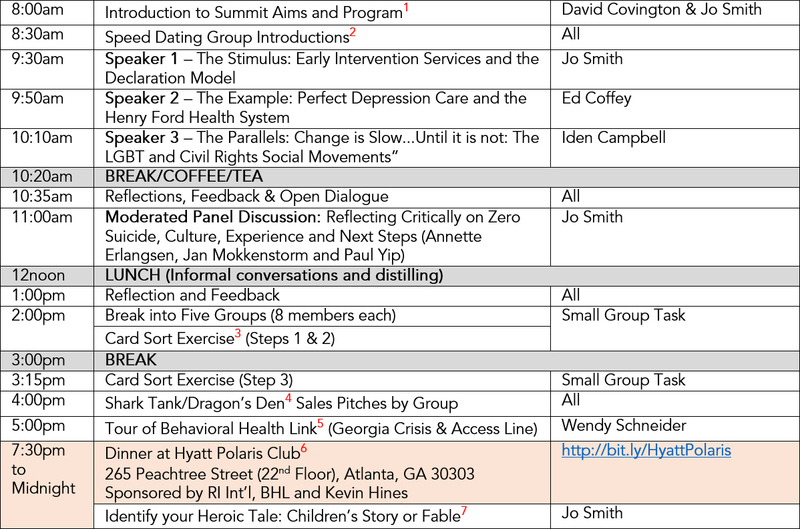 We will use two hashtags to cover this event, #iimhl2015 and #zerosuicide. There will also be a photographer and videographer present and we have engaged a graphical facilitator to document this important event.